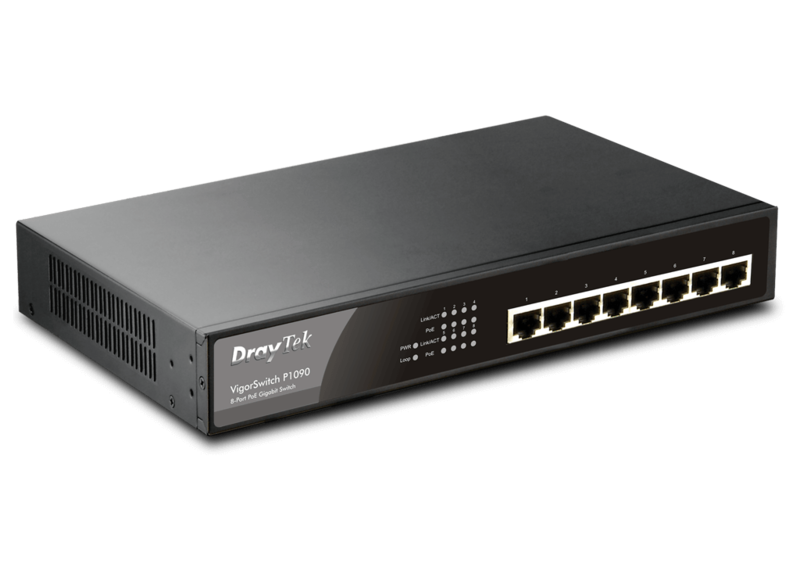 With DrayTek VigorSwitch P1090 switch, you are free to position equipments wherever they should be and power to the unit with the data over the Ethernet cable, not being limited by the power outlet. 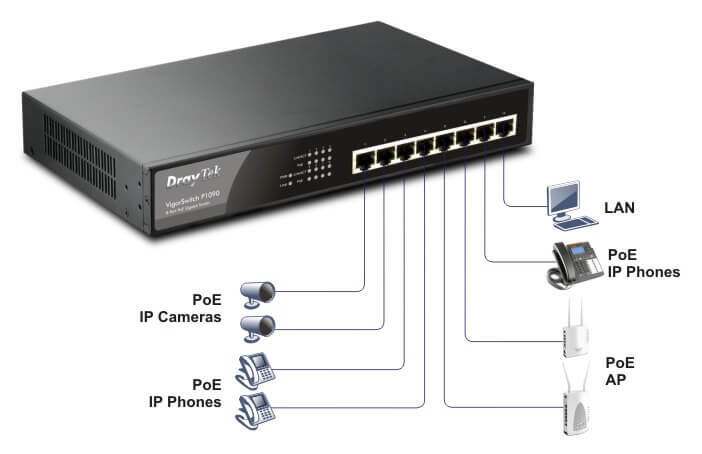 You can remotely reboot the device without having to climb up to or go to the device – just remove its Ethernet cable from the switch end as adopting PoE. 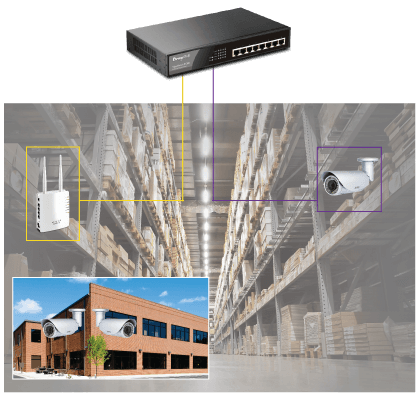 Deliver both data and a stable power supply to PoE devices, such as IP phones, IP camera and wireless Access Points, over Ethernet LAN cabling. In the real world, such devices tend to be mounted where no AC wiring are provided. In these situations, PoE eliminates the need for complicated AC wiring therefore reducing installation costs.